The neurodevelopmental disorder known as autism, affects the way people interact socially and communicate, both verbally and non-verbally. Autism research remains a developing field, with scientists still unsure what exactly causes it, and how it is best treated. Some are suggesting cannabis could be an effective treatment for adults, and in very extreme cases, children with autism. Autism affects 24.8 million people worldwide and researches believe that it is caused by a combination of genetic and environmental factors. Various illnesses, such as rubella, that occur during pregnancy can increase the risk of autism, although none has been identified as the primary cause for the disorder. Autism alters the way nerve cells and synapses connect, which affects the way the brain processes information. People are diagnosed along a spectrum of autism, ranging from Asperger’s Syndrome, which is the most severe, to mild autism. In cases of non-verbal autism, the autistic person is unable to communicate through language. In the most extreme cases, non-verbal autistic people may convulse uncontrollably and exhibit violent or injurious behavior. Autistic people have difficulty responding to social cues and body language, and often have challenges interacting in social situations. Other characteristics of autism include limited interests and a focus on repetitive tasks. Many people diagnosed with autism exhibit superior perception and attention skills when compared to the wider public. People diagnosed with high-functioning autism often excel in music, math, and art. Signs of autism tend to develop around age two, with autistic toddlers exhibiting difficulty expressing themselves, and having more challenges making eye contact than a typical toddler. Symptoms can be mitigated with age and treatment, but some cases do not improve over time. Autism activists advocate that autism should be treated as a difference, rather than a disorder, arguing that autism gives people special strengths, and that they do not need to be “cured” from this neurological condition. However, many people do choose to treat autism. Different types of therapies can be helpful in training autistic people to function independently in society. There are many different treatments for autism, and treatment is tailored to each specific case. Many of these treatments take the form of specialized education for social development. Speech, language, and occupational therapy are also often used to treat autism. The most common approach to treating autism is Applied Behavior Analysis (ABA) therapy, which teaches concrete behaviors and specific life and communication skills. These lessons teach autistic children to develop self control and self monitoring skills. In more extreme cases, people with autism are prescribed psychoactive drugs and anticonvulsive medications to combat symptoms. These drugs often have serious side effects and the risks associated with them can outweigh the benefits in many cases. Medical cannabis has been broached as a potential alternative treatment for autism. There have been many pre-clinical cases that support cannabis for autism treatment, but there have not been enough clinical studies researching cannabis and autism to support these cases. Many individuals, desperate for results, have reported positive changes from cannabis anecdotally. Some parents frustrated by the lack of treatment options have begun exploring medical marijuana as a treatment for autism. Researchers looking into the effects of cannabis on autism, report cases where non-verbal autistic children spoke their first words after receiving a spray of hemp oil twice a day. In just three weeks, patients developed significant language skills. Other cases report results from autistic children that also suffer from a rare degenerative muscular disorder called Duchenne Muscular Dystrophy. The painful, aggressive disorder required patients to take a huge number of pharmaceutical drugs with serious side effects. Cannabis was used to ease the pain caused by the muscular dystrophy, but it had other effects as well — improving things such as eye contact and sociability, which are common challenges for children with autism. While many people have heard of THC, there is another cannabis compound that has been shown to have powerful effects on the mind and body — CBD. CBD, or cannabidiol, actually counteracts the psychoactive elements of THC, and can be used to relieve symptoms of pain, spasms, inflammation, anxiety, psychosis, seizures, and many other conditions with no lethargy, paranoia, or other issues that can be caused by THC. Much of the medical community believes that cannabidiol has the potential to be used as treatment for many illnesses other than autism, including MS, arthritis, diabetes, PTSD, chronic pain, depression, schizophrenia, epilepsy, and other neurological disorders. It has even been demonstrated to possess anticancer properties. Using CBD to treat autism is a mostly unexplored field in medicine. There simply aren’t enough clinical studies examining the effects of medial marijuana on autistic children, but there have been numerous promising studies exploring the relationship between autism and cannabis. In 2013, Dr. Dario Sinicalo found indications that the CB2 receptor compound found in cannabis might be useful in managing autism. The Autism Research Institute has also found that cannabis can help alleviate some of the symptoms of autism including anxiety, aggression, self-injurious behavior, tantrums, and panic disorders. 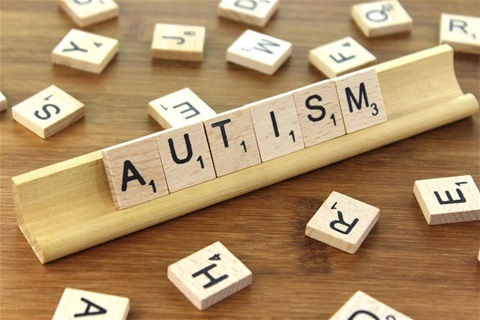 Scientists are interested in links between CBD and autism due to recent research exploring the relationship between the endocannabinoid system and autism. The endocannabinoid system is a group of endogenous cannabinoid receptors in the brain that are involved in physiological processes such as pain, mood, and memory. Researchers are beginning to study how the endocannabinoid system operates in the brains of autistic patients in order to formulate potential treatments that target the endocannabinoid system. Although there is fledgling evidence for CBD use, few scientists and doctors are willing to recommend cannabis as a treatment for autism due to the lack of data available. However, this lack of institutional backing is also keeping cannabis and autism studies from receiving the funding and support they need. While America has been slow to begin clinical trials, Israel has begun radical clinical research on the effects of cannabis oil on autistic children. The oils being used are specially formulated to have low levels of THC and high levels of CBD, to target illnesses without causing a “high”. While there is still lack conclusive research studying the effectivity of medical marijuana as an alternative therapy for autism, the anecdotal evidence suggests that cannabis could be a potentially positive treatment and that this field deserves further research. Using medical cannabis to treat autism is controversial due to the difficulty of dosing marijuana for children, the patients who would primarily benefit from medical cannabis. Parents may not be properly able to adjust dosing to their child, and overdosing could be potentially harmful to the endocannabinoid system. The main challenge when dosing cannabis is due to the fact that it comes from an organic plant, rather than a controlled synthetic pharmaceutical drug. Because of this, marijuana is composed of hundreds of active compounds instead of just one. The synergy between these different compounds is what makes cannabis so effective, but it also makes it much more difficult to control. The complexity of marijuana makes it challenging to discern which aspects of the plant are helpful, and which may be harmful. While doctors will not recommend cannabis as a treatment for autism due to the lack of concrete scientific research, many privately admit that it may be worth trying for families who have exhausted all other treatment possibilities, noting that the dangers of medical marijuana are mild in comparison to the psychotropic drugs sometimes prescribed to autistic children. If you are considering using medical marijuana, consulting with a physician to get a medical card will ensure you get the right information on which strains, oils, and concentrates will be most useful. Whether you choose a dispensary near you or a delivery service, such as TOPS Cannabis, inform doctors, employees, and customer service representatives that you need CBD dominant cannabis to ensure you’re getting the most effective, safest option. Kurt Darrell is a contributor for several websites dealing on different kinds of topics. When he is not working, he can be found gardening, windsurfing, hiking, or working on his upcoming blog that he will be publishing soon.